This card went in a completely different direction than I had sketched out. Originally it was going to have a foiled frame and some 3-D flowers. The frame ended up being too big and then I ended up making it a somewhat masculine card so I decided to not use the purple 3-D flowers I made. I also added this little heart on the inside using an old Sizzix die to die cut some Toner Paper. The arrow was from the pieces that came in the Heidi Swapp Minc Mini Set. I didn’t have my heat on the machine turned up enough so I was left with some black spots. That’s it for today! Make sure you subscribe to our Youtube channel so you can see the video of making this card when it goes live. Thank you for stopping by! Laser Cut Stencils -20 Designs Available! I’ve been making stencils for well over a year now. I will get into a creative roll and then get stuck in a rut. Lately I’ve added 3 new stencils and one old one for a total of 20 different stencils. I will try to continue making more and let you know when I have a bundle of them ready. The best selling stencils are the Pretty Face and Pretty Lady stencil. these are very helpful for adding a face to your art journal. I favor background stencils to use with my cards. If there’s something you are looking for, let me know and I might be able to design it! To buy a stencil just click on the picture below and it will take you to the auction. To see all of them on one page, just click here! 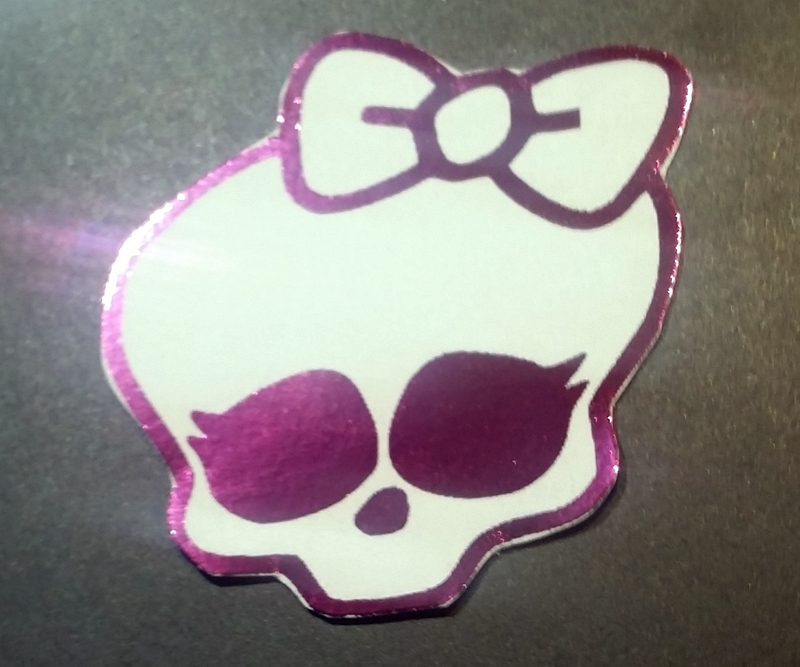 I should also mention all of our stencils are 4.25 x 5.5″ and they are $3.99. We have a store wide sale of 25% off right now so the stencils are just $2.99. That’s a great deal for a plastic laser cut stencil! There’s all of the stencils for now. Hopefully you found something you like! This card came together after I was left with a beautiful watercolored orchid from my last blog post and video. To see how I made the watercolored image using Prima Water Soluble Oil Pastels head over to that blog post. After cutting out the orchid, from the Stampendous Orchid Greetings Stamp Set, I misted it with some spray mist in a nice light tan color to make the paper look aged and add some shimmer. I adhered it to a piece of brick patterned paper from Authentique’s “Accomplished” collection. I proceeded to put the orchid image on my background paper with the bricks vertical rather than horizontal (oops!). I didn’t realize this until the very end when I was looking at my card and by then it was too late to remove anything. We’ll just pretend I was trying to be edgy and different! The sentiment is from a 12×12″ piece of paper that is supposed to look like newspaper ads but has all these awesome sayings. It says “Everyday Moments” at the top. Sadly I threw away the strip with the information and I have no idea who makes it or where I bought it from. I think I may have got just this single piece of paper at one of my local scrapbook stores so who knows what company it was (sorry!). I popped that up with some thin foam tape for a tiny bit of dimension. I sprayed this cardstock with the light tan spray mist to match the background of the orchid. Lastly, I inked the edges with some Donna Salazar Mix’d Media Inx in the color “Vintage”. These inks are by Colorbox and they are sooooo juicy! I don’t really ever see them for sale at the online craft stores or brick and mortar stores but they are really nice. I was able to find this color and many others on Amazon though. I always forget to make encouragement cards for my stash so I am glad I have one ready to go now. 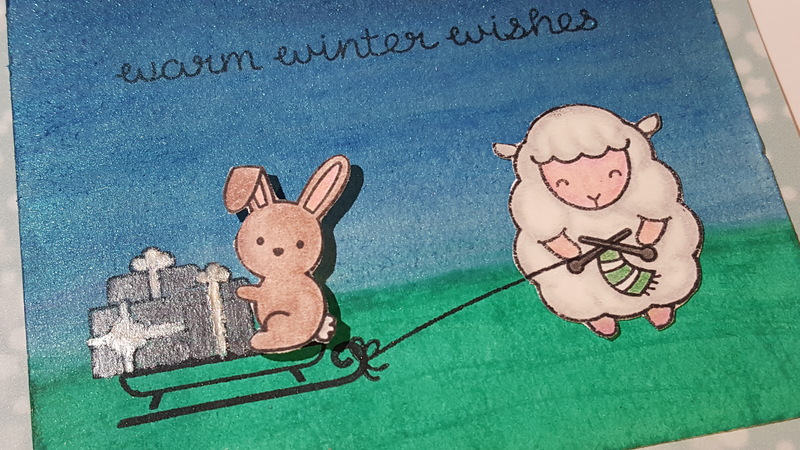 When you have a friend in need you want to be there for them right away and that means no time to make a card. Now I’ll be ready the next time I need a card for this. Even if it’s just a friend trying to get a raise or save money! It doesn’t always have to be a sad situation to get a card like this. Last night I made my first Thanksgiving card for the year. I have to admit, I usually skip right over Thanksgiving and move on to making my Christmas cards. It’s not that I don’t think Thanksgiving is important, it’s just so hard to squeeze everything in with how close all of the holidays are together. I just couldn’t resist using this adorable scarecrow for something though! 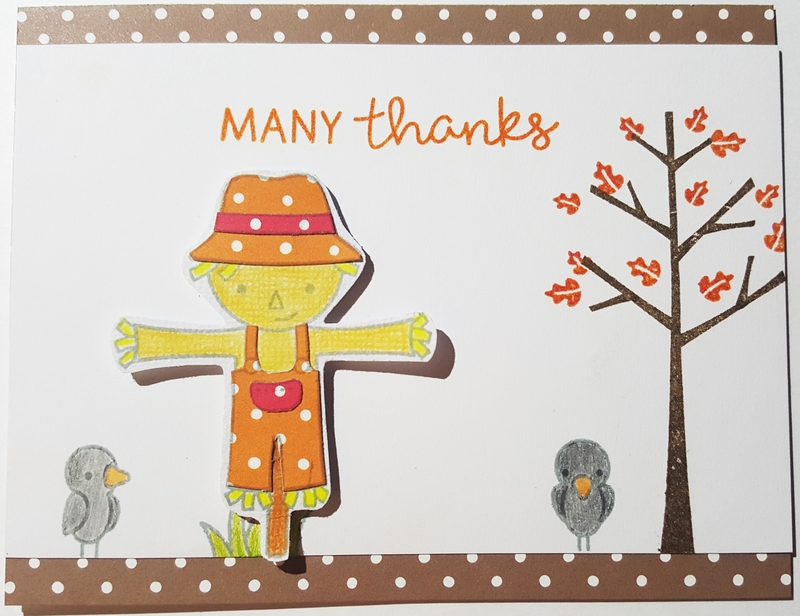 The sentiment, scarecrow and crows are from the Happy Harvest Stamp Set by Lawn Fawn . 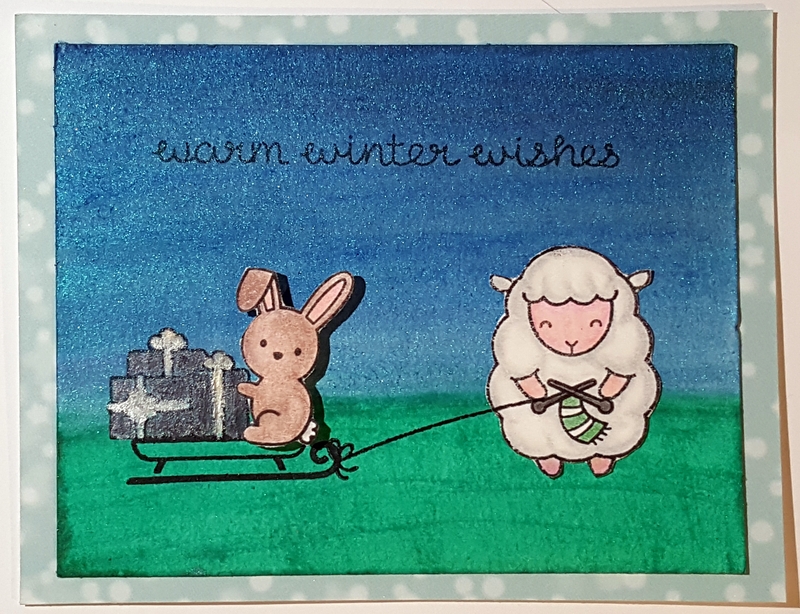 The Tree is from the Sweater Weather Stamp Set by Lawn Fawn. That little spot of grass under the scarecrow is from the Critters in the Jungle Stamp Set by Lawn Fawn. For coloring the scarecrow and crows, I used Ergosoft Colored Pencils and blended using Gamsol with blending sticks. Just lightly color and blend for a nice effect. I decided that I wanted the outline of the stamps to be grey instead of the typical black and I used Memento London Fog Ink. The other inks that were used are Distress Inks. I used Ripe Persimmon on the sentiment, a mixture of Wild Honey and Fired Brick on the leaves and Walnut Stain for the tree trunk. Those cute polka dot papers are by Lawn Fawn and they’re called Let’s Polka, Mon Amie . To paper piece and make the dots line up when using multiple papers, just cut the paper small and make sure you stamp the scarecrow at about the same spot. I don’t have the dies for this set, so everything was fussy cut (a.k.a. cut by hand with scissors). I hope you enjoyed seeing my card. I did use a few Amazon affiliate links in this post. If you end up purchasing any other products, I get a very small commission. Intoxicating Arts also sells some of these products and those have been linked too. Thanks for stopping by! I finally bit the bullet and decided it was time for me to get a MINC Mini! After seeing the great results and asking the great people on Splitcoast Stampers what their thoughts were; I decided it was time to just buy one already. 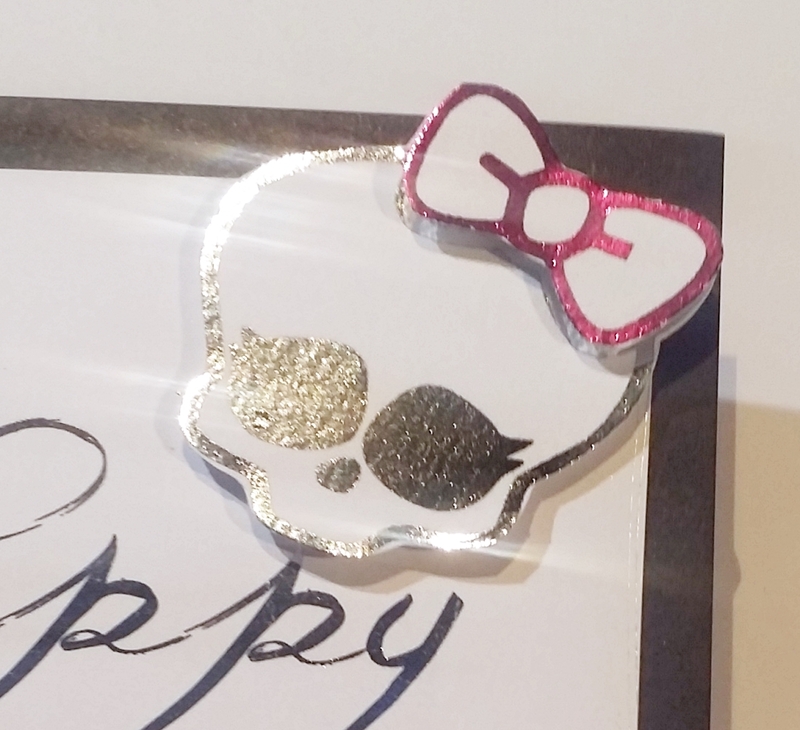 It’s a cute and simple Monster High card for my niece who’s turning 7. It was extremely simple to do. 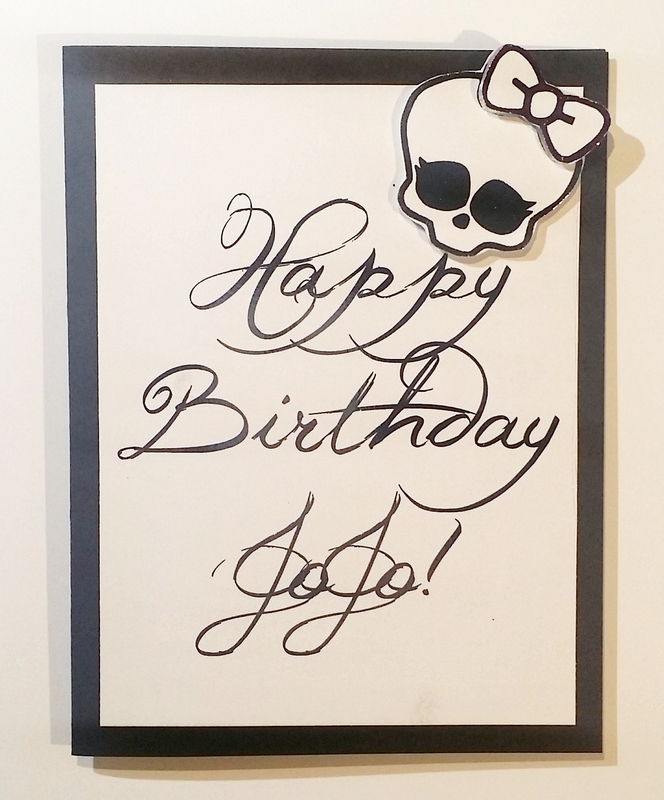 The only additional supplies I needed that weren’t included was a laser printer, some free images and fonts from the web, pink MINC foil (that I was able to purchase at Jo-Ann the day I decided to make this card ), black & white card stock, and some adhesive. The pictures honestly don’t do it justice. It looks like a black and white card, but really all of the words are silver. So beautiful ! I made a video showing what comes in this awesome MINC Mini Bundle and my first time using the machine. You can see all the awesome reflective goodness in the video below. If you are interested in purchasing a MINC Mini Bundle at a great price, please click here, MINC BUNDLE . I only have 3 in stock and they are selling at $74.99 plus $5.00 flat rate shipping to any address in the United States. These retail for $99.99. PLUS if you get your order over $75.00 , you get an extra 5% off. That means you can basically get something that’s $3.74 for FREE since that’s just $0.01 more. The shipping charge will not increase since every time you go over $40.00 in our store, you get $5.00 flat rate shipping. It’s really a great deal! I hope you enjoyed my video and thanks for stopping by!